One of the least expensive and most effective ways to improve water quality also happens to be the simplest – plant trees and shrubs on stream banks and in flood plains. The land adjacent to a waterway is termed a riparian area and the trees and shrubs which grow on that area are called a riparian buffer. This vegetation serves the important function of acting like a sponge, literally buffering the water by filtering out harmful pollutants. 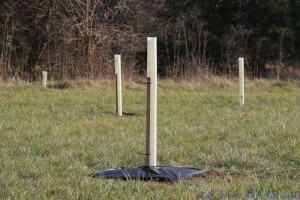 Thousands of farmers in Virginia (and nationwide) have participated in the Conservation Reserve Enhancement Program (CREP), a federal program which provides cost-share funding to fence cattle out of streams, install native hardwood trees and shrubs and provide alternative watering systems, hard crossings across streams and other practices aimed at improving water quality. 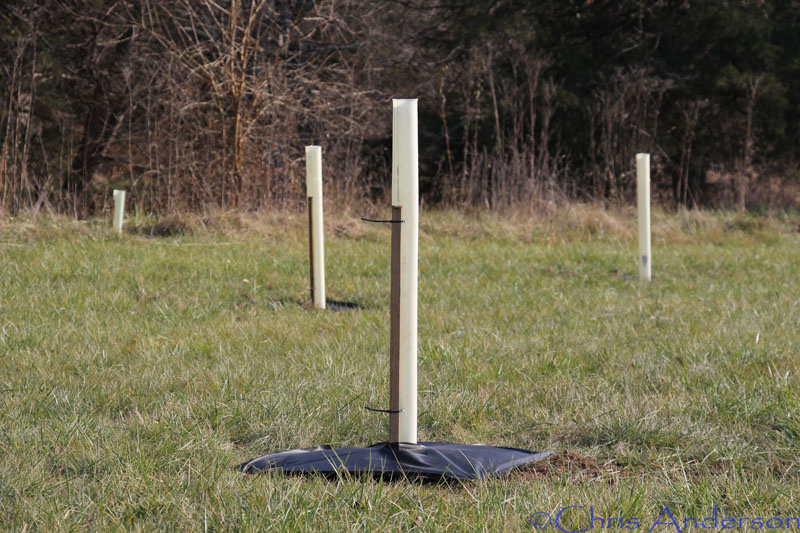 Based on landowners desires for their land, a key component of the CREP program is re-establishing a riparian buffer by installing native species. Farmers and landowners work with their local Department of Forestry to determine what species will grow best on their property. Typical species planted immediately adjacent to waterways include river birch, sycamore, cottonwood, swamp white oak, pin oak, bald cypress and other hydrophilic species. Green and white ash were previously utilized, however, with the advent of the emerald ash borer, these species are not often prescribed. The voluntary CREP program assists landowners in re-establishing natural forested buffers, grass/shrub areas and wetlands with a goal of not only improving water quality but also providing wildlife food and habitat. Trees and shrubs next to water ways help hold soil in place, decreasing erosion. The vegetation that falls into the stream or rivers provide food and habitat to aquatic life – part of a healthy ecosystem. These dogwood shrubs root easily and grow to a height of 10-15 feet. 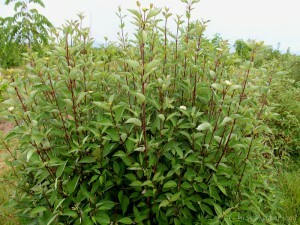 Many songbirds relish the seeds and the thickets that form in areas where the shrubs are allowed to spread provide shelter to many small mammals. 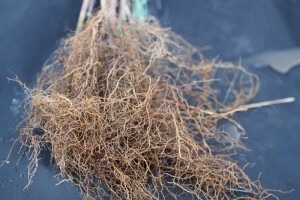 One of the most important functions of this suite of desirable shrubs is their ability to bend during times of flooding; their flexible stems lean with the flow of water instead of breaking, while their extensive spider web-like roots hold soil in place. 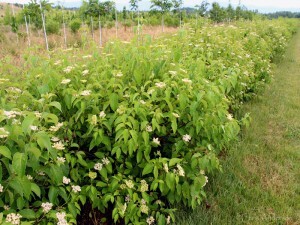 For natural stream or habitat restoration projects or for general landscaping, the dogwoods provide many benefits including beauty, hardiness, berries for songbirds and root very quickly (often within a matter of weeks), providing almost instant benefits. 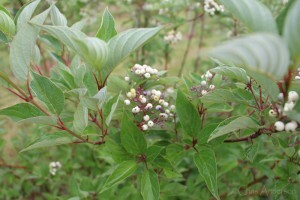 *These three species of dogwood are currently being grown by White House Natives. 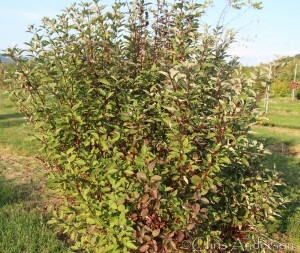 Also native to Virginia are Cornus alternifolia (alternate-leaf dogwood), Cornus stricta (swamp dogwood) which grows in the coastal plain, Cornus rugosa (roundleaf dogwood) and Cornus drummondi (roughleaf dogwood).